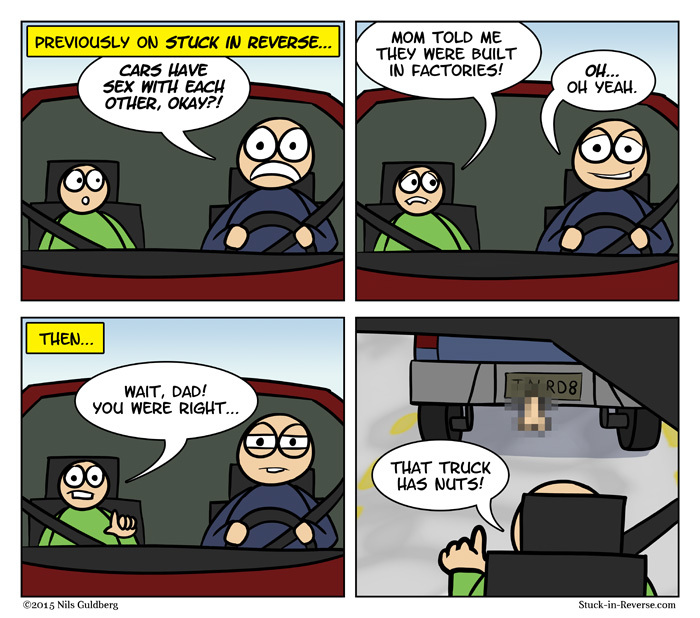 Stuck in Reverse – Car comics. 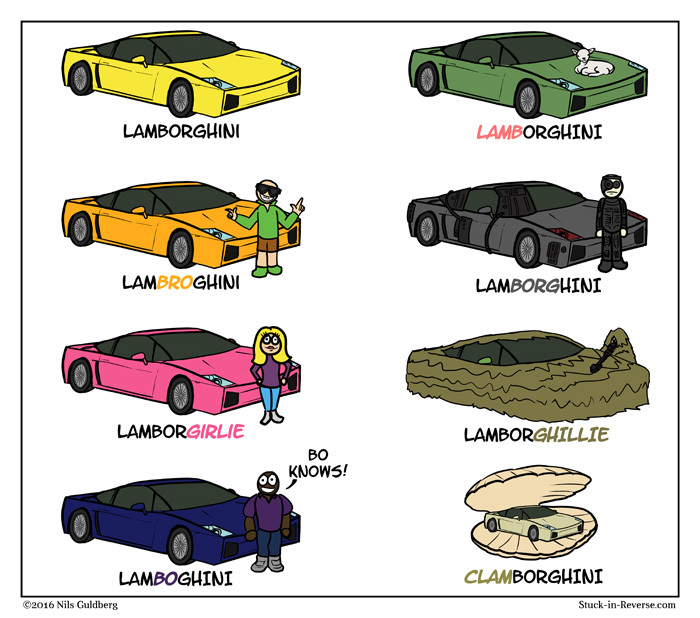 For car people. That’s all for now, folks. After doing weekly comics for over a decade, I’m going to take a break. I’ll probably be updating my toy blog occasionally. Thanks for reading and don’t forget to rotate your hub caps every 500 miles. 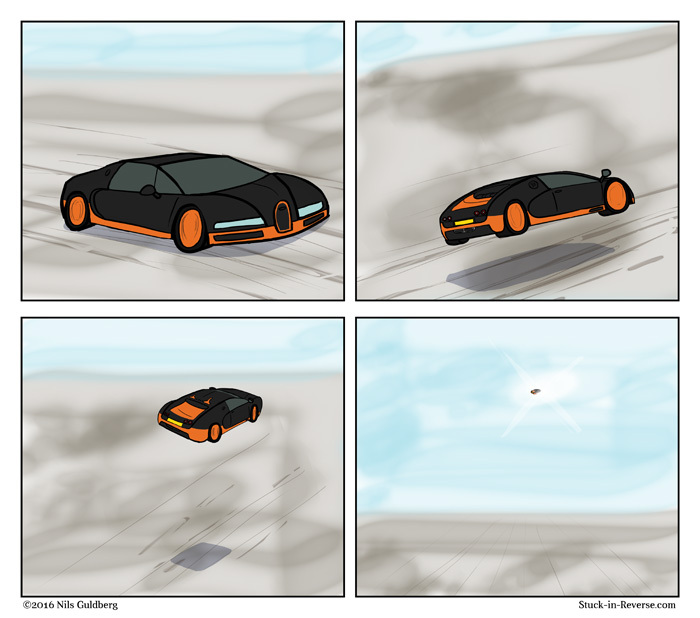 A reader by the name of Aeast asked me to do a comic about drifting. 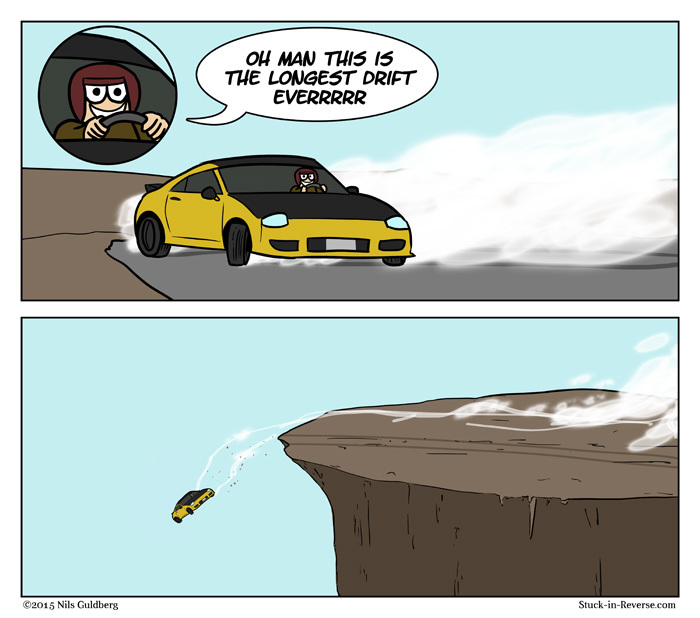 Might as well throw another car off the cliff for old times’ sake. You’d think someone would have installed a guard rail by now. To be clear, I think Achewood already did the definitive series of comics on truck nuts. But my friend Charlie asked that I do a comic on the subject, and who am I to deny him. 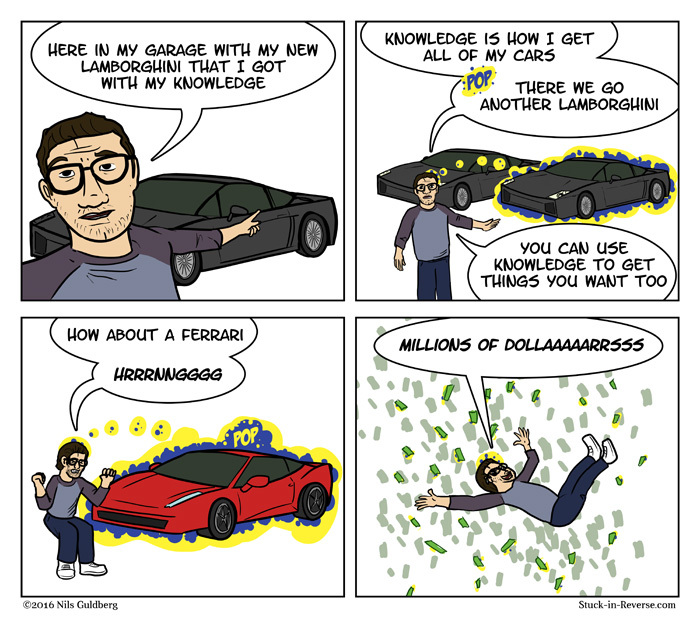 Here’s the previous comic in case you missed it. 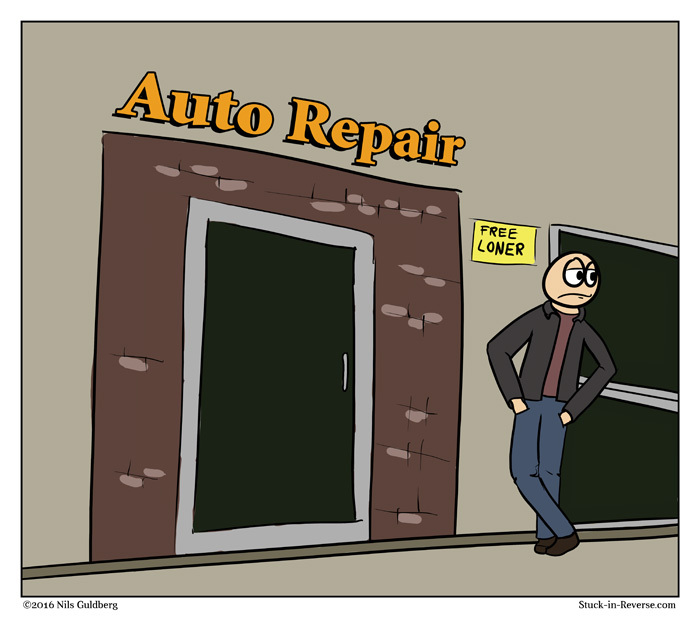 A reader named Tyler asked I do a comic about a certain someone, so here you go.